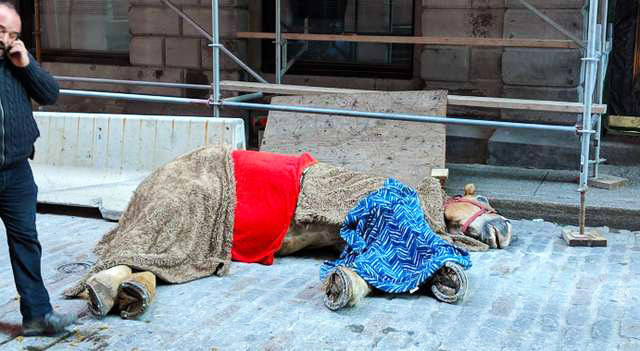 Charlot, the carriage horse was standing on the cobblestone, exhausted after giving rides to passengers and coughing and gasping for air. After a few minutes, he collapsed right on the ground. Concerned passersby called SPCA officers but not on time. 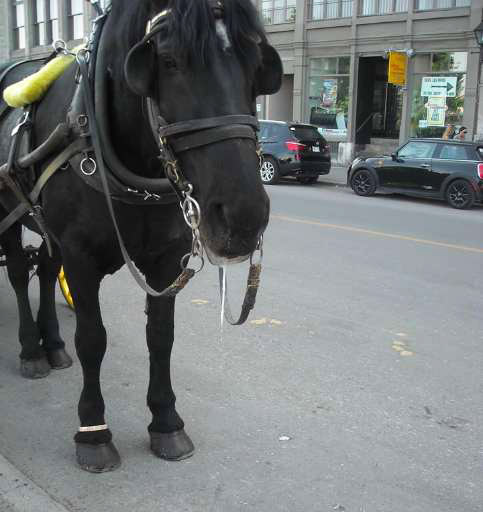 He was already asleep and the animal advocates know that he isn’t the last carriage horse of Old Montreal to die like that. The Canadian city announced plans to ban the carriages this summer by December 2019 because of running cases of animal welfare violations. Chris Romanyk, the resident of the apartment building where Charlot collapsed was especially hit by the incident. Colalillo says that right now, it is even harder to keep records of the welfare concerns in the industry because the city has not kept advocacy groups updated about the animals the companies own. She says that the owners change the horses’ names every day to make it harder for such group to keep an eye on them. The city’s mayor, ValériePlante has also noticed the incident and says that the tragedy just reaffirms the dire need for the industry’s shut down. “It says to me: ‘You made the right decision … the calèche industry has no place in Montreal anymore,'” she told The Globe and Mail on Monday. Not only the physical stress of parading down the streets every day but also possible collisions with other vehicles are especially dangerous for these horses. Loud noises and extreme temperatures can cause them to bolt, which is dangerous for both humans and themselves. The horses are often tied in stalls if they are not working. That doesn’t even give them an option to walk or graze around. 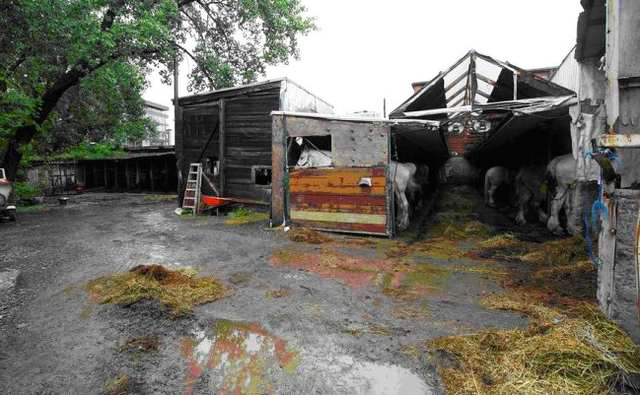 Montreal SPCA says that most of the horses who can no longer be used to pull carriages are either sent to auction, or to slaughter. If not, stress is always there to kill them like it killed Charlot. Colalillo and other animal advocates are tirelessly raising awareness for the horses until the ban is finalized. 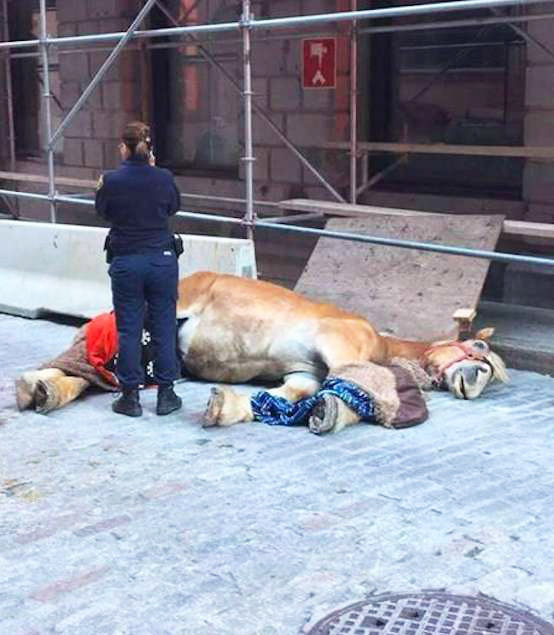 “My group has been urging anyone who sees a calèche horse that looks sick, injured or is being mistreated to contact police, and to write to MAPAQ [Ministry of Agriculture, Fisheries and Food] Minister André Lamontagne to urge him to tak action to protect the calèche horses,” she said. SHARE this post to raise awareness.